The smell, taste, and texture of fire roasted chiles made fresh cannot be replicated out of a jar or can. Fire roasting your own is easy, lets you use the freshest ingredients, and gives you the ability to control the blend of flavor and heat. Fire roasted chiles make salsas, burgers, and chili con carne so much better than diced raw or canned chiles because they bring the smoky spicy flavor but tame the heat just a bit. 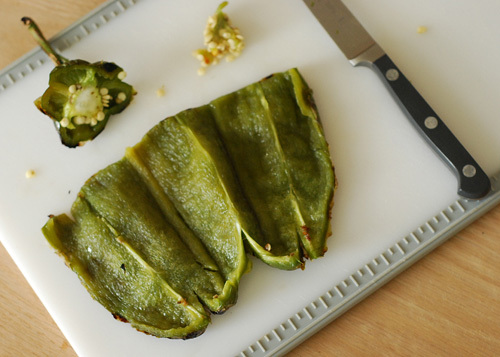 Here are the basics of how to fire roast your own chiles. I say variety because I find a blend usually delivers much more flavor than just one type of chile. 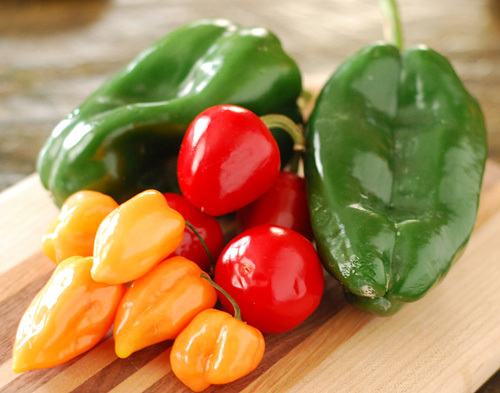 I like to use a blend of mild (bell peppers, pimento), medium (poblano, jalapeno, serrano), and hot (habanero, birdseye). 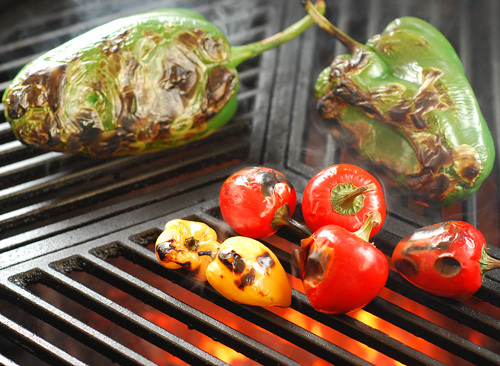 Generally, fleshy and meaty chiles are more suited for fire roasting than thin walled chiles. Preheat a charcoal grill to high heat (450-500f). 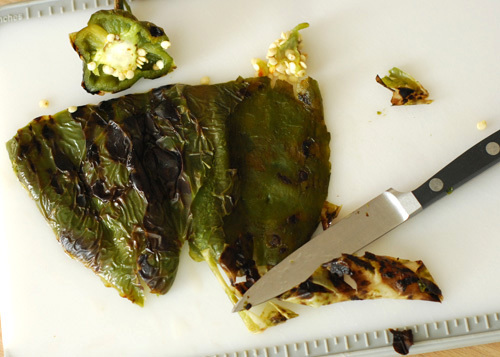 Roast the chiles over direct heat until well charred (2-3 minutes per side). They should look blistered and burned when done, don't worry. It's hard to overdo them. The blacker they are, the easier they will peel. 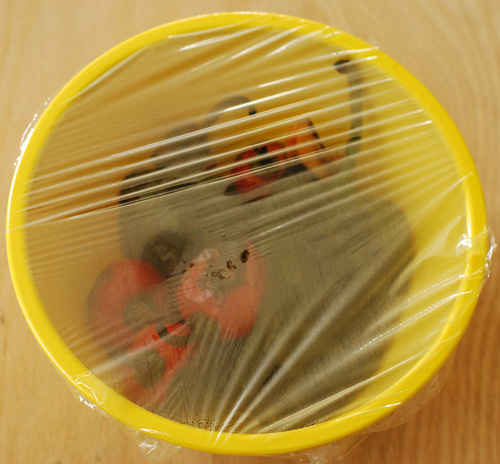 When scorched on all sides, place in a bowl and cover with Glad Cling Wrap. This will use the residual heat of the chiles to steam the skins lose. Cut the top (vine end) of the chile off. Sliced down one side of the chile and open it flat on a surface. Use a sharp knife to scrape off the seeds. Flip over and use your knife to peel off the charred skin. Hold the sharp knife perpendicular to the chile and lightly drag across, that should pull most of the skin off without damaging the flesh. If some bits of skin are left, don't worry, it doesn't have to be perfect and that will add flavor to your final dish. One strip of the skin peeled on the right side. The better you char it, the easier the skin peels off. Grilling 101 is a series of posts that I am using to support basic techniques that I use in my normal recipe posts. I plan to update these posts as I think of addition stuff to add. Feel free to add any tips you might have in the comments.